Gisele Nett will be performing a brand new piece at the Word Salad spoken word event next week. Come check out the readers at The Talking Stick, 1411 Lincoln Blvd., Venice, CA 90291. Plenty of FREE parking in back! 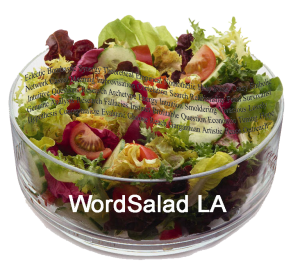 Visit the Word Salad website or Facebook page!